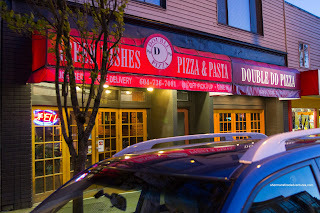 Double DD what??? Yah, I'm not going any further with my thoughts about what was my initial reaction upon hearing about Double DD Pizza. 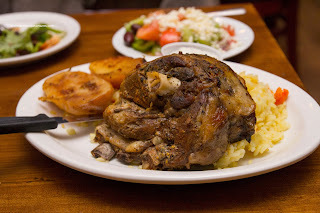 My co-worker raved about the Greek food there and about the great value as well. Okay, I filed that into my subconscious to be used the next time I was out near 4th and Alma - which is never... Fast forward 8 months and Choobee reiterates the same sentiment about the place. Geez. Okay, okay, I'll make the effort for some Double DD action... ahem... So after Monday night softball, I queried who wanted to head out there for eats. I think I heard crickets. Hence, Milhouse was the only person who was game because I drove him. Yes, he was my food hostage. We met up with Choobee to hopefully put a dent into the menu. 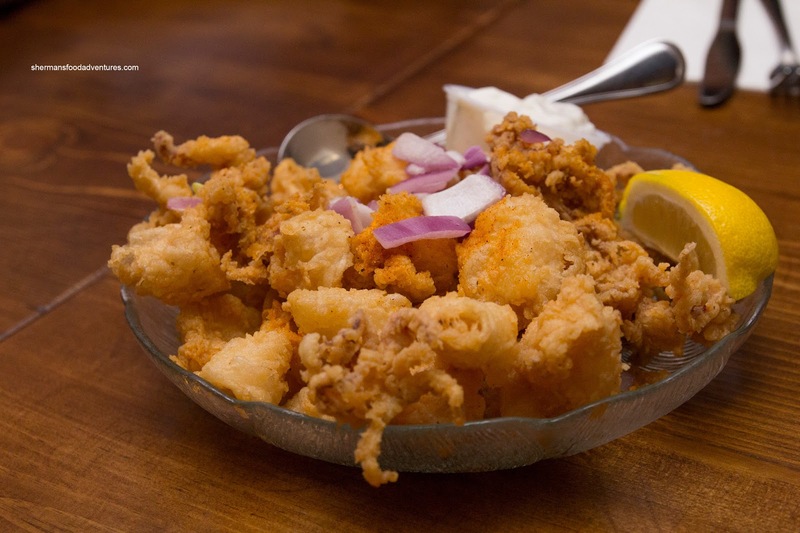 Arriving hot and crunchy, the Calamari was a generous portion of tender squid which still maintained a nice chew. The batter was well-seasoned and not greasy at all. The thick Tzatziki was a nice compliment, but I would've preferred just a touch more impact (such as more garlic and lemon). For $7.50, the Prawn and Mushroom Salad was large and prepared beautifully. Although the toppings were pan-fried first, they did not wilt the rest of the greens excessively. 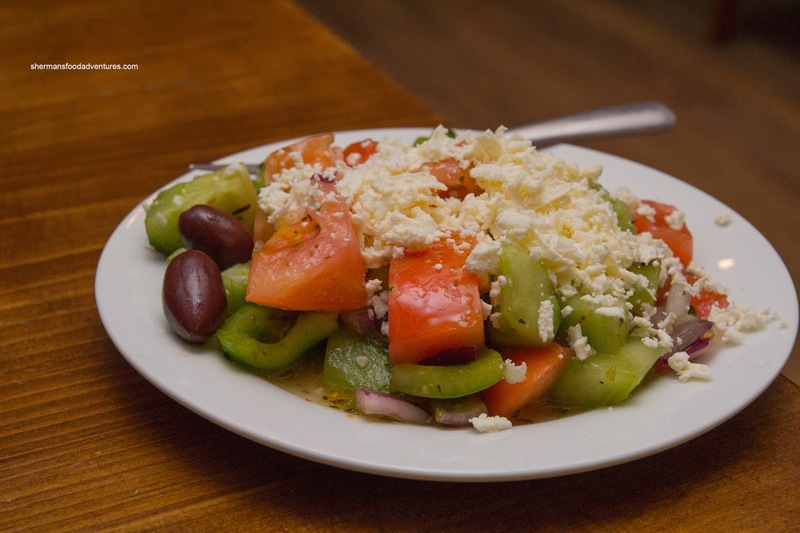 Rather, it provided both flavour and substance to the salad. 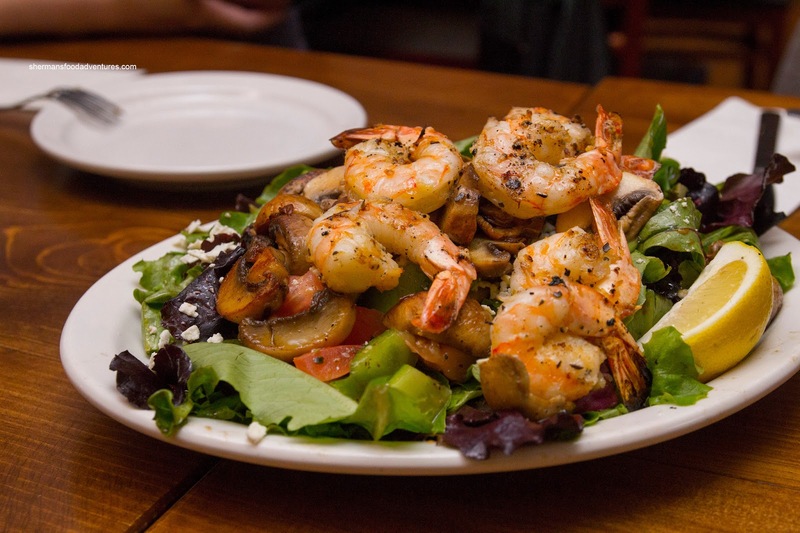 The prawns had a nice snap while the mushrooms were just right. Furthermore, the salad was not overdressed with vinaigrette which didn't degrade its texture. The Roast Lamb was a massive portion which was also done nicely. From the bone out, the meat was not overly fatty, yet enough fat to provide flavour and keep the meat moist. Again, it was well-seasoned and had a nice roasted essence. The accompanying rice was flavourful and only slightly wet. I really loved the roast potatoes as they were packed full of lemon flavour. They were on the drier side, but that didn't make or break them. 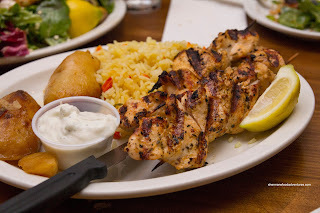 Considering they used breast meat, the Chicken Souvlaki was still juicy and tender. It had a nice char and was properly marinated with the usual Greek spices. 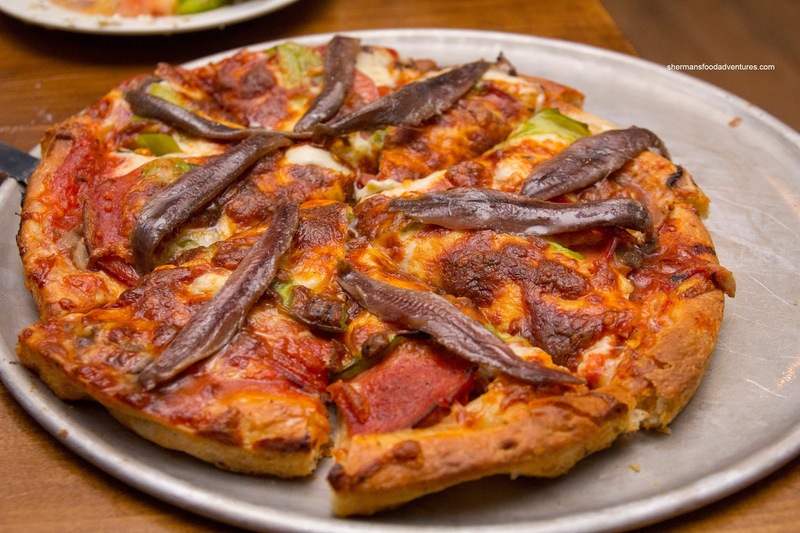 We tried a small Pizza consisting of pepperoni, mushroom, green peppers and anchovies. For this type of pizza, it was solid. The crust was crunchy, yet giving way to a soft interior. There was just enough mild tomato sauce and plenty of cheese. Naturally, with anchovies, there was no lack of saltiness. In the end, we were stuffed because the portion sizes were generous. Furthermore, we were completely satisfied with the food because it was good and prepared with care. This is definitely a place worth driving out to visit. Thanks for this review, Sherman. Funny, I never think of them as Greek resto since their store front isn't blue & white (LOL), but which used to be years ago IIRC. I do recall they had very decent food, so I'm glad to see that's still the case now. LOVE this restaurant. And fortunately, I only live 3 blocks away. Love our hood!